An early start meant we were in good time for the fast craft to the Isle of Man in spite of going under the Mersey Tunnel by mistake, due to moment of navigational inexactitude by Allison. One Porsche grounded a bit going on to the ferry, which unsurprisingly was full of bikers. We arrived at Douglas and had a look a the very impressive Manx Museum with eye catching displays of the history of the island. Also a comfortable tea room with bonnag the local, very tasty, fruit cake. 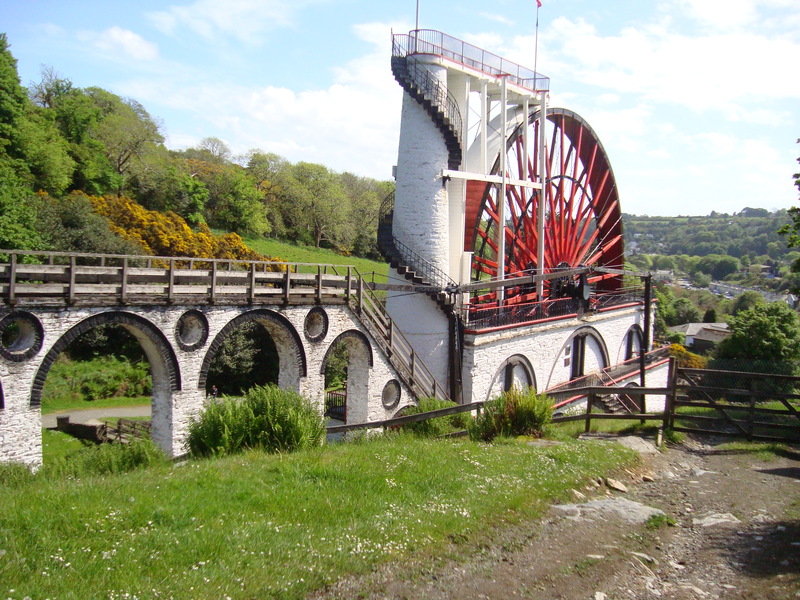 On to our hotel via the navigational aid of the Isle of Man Home of Rest for Old Horses. The hotel was a country club and 30 + Porsches in the car park looked and sounded good. The after dinner speech was from a local policeman about speeding as the locals are good at grassing people up. Once someone phoned up the police and said someone dressed like the Stig was racing around, only to be told that it was the Stig!! Then to Castletown the ancient capital and round Castle Rushen using a guide book dated 1927, well castles don’t change much. 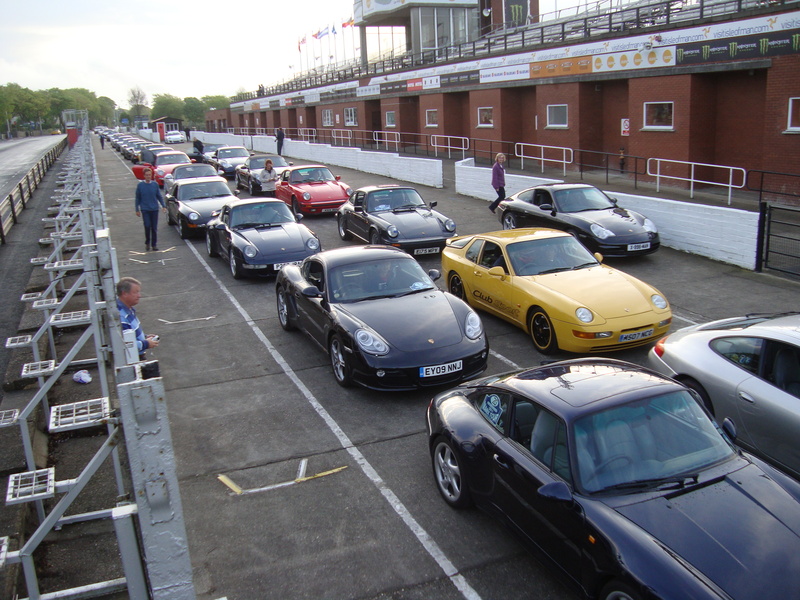 As usual with car club events Porsches kept popping up in all directions. 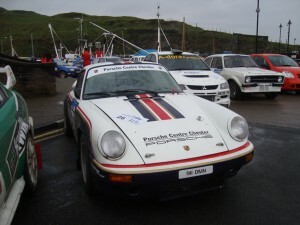 There was a competitive rally taking place that weekend so if it wasn’t a Porsche round the next bend it was a rally car. The National Folk Museum at Cregneash was next and just as we finished tea and cake outside the mist descended and we could not see the cottage opposite us. At Peel the mist and rain cleared for a walk round the outside of the castle and town. Perhaps we have become used to finding interesting restaurants and gastro pubs eveywhere but we did not find many in Mann but eventually found a pub on the harbour with spectacular fish. Then the rain started to tip down and everyone raced inside. The downpour turned in to the monsoon and even the drain covers were lifting up – not a fast drive back. 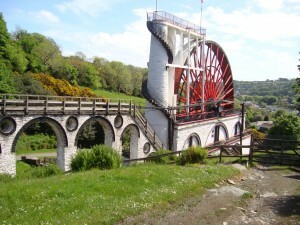 Early the next morning another drive round the circuit but with less mist and then on to Laxey Wheel which is the largest working water wheel in the world and was built in 1854 to pump water from the lead and zinc mines. You get quite wet climbing to the top of it. A drive to Ramsey which has shop fronts from the 1920s with what looked like original window displays. A group meal at the hotel went down well with our friendly policeman thanking us for our good driving and then telling us about his life in the Mann police force. 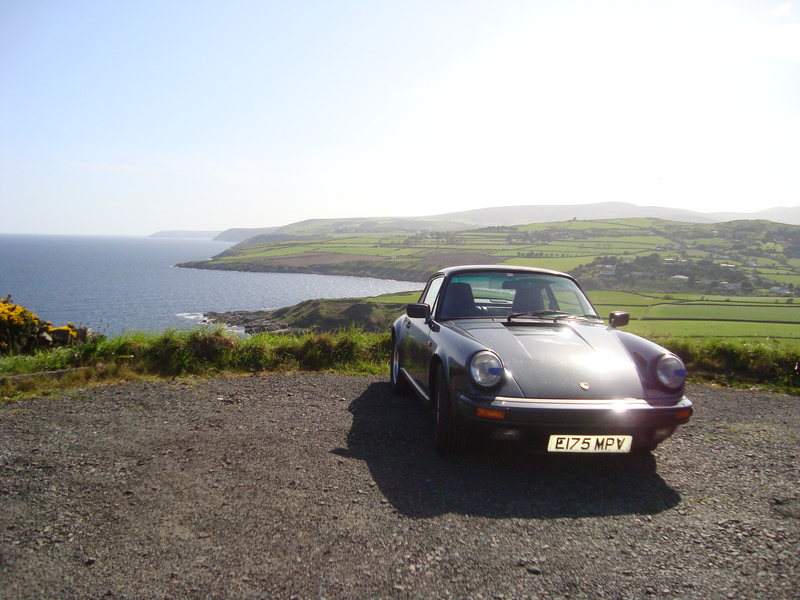 A good driving and sightseeing weekend. Try it. 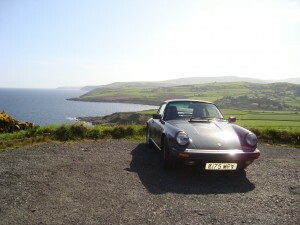 This entry was posted on September 4, 2011, 9:11 pm and is filed under Porsche Club Isle of Man tour 2011. You can follow any responses to this entry through RSS 2.0. Both comments and pings are currently closed.